Home > Subwoofer Boxes > Loaded Subwoofer Boxes > Single 10"
selection are ported and designed for extreme bass response. In addition to the style and look on these subwoofers, we take it to the a whole new level. 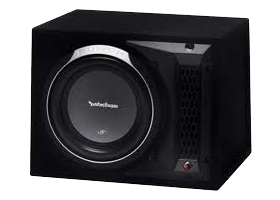 Have Single 10" Loaded Subwoofer Boxes installed in your vehicles now!